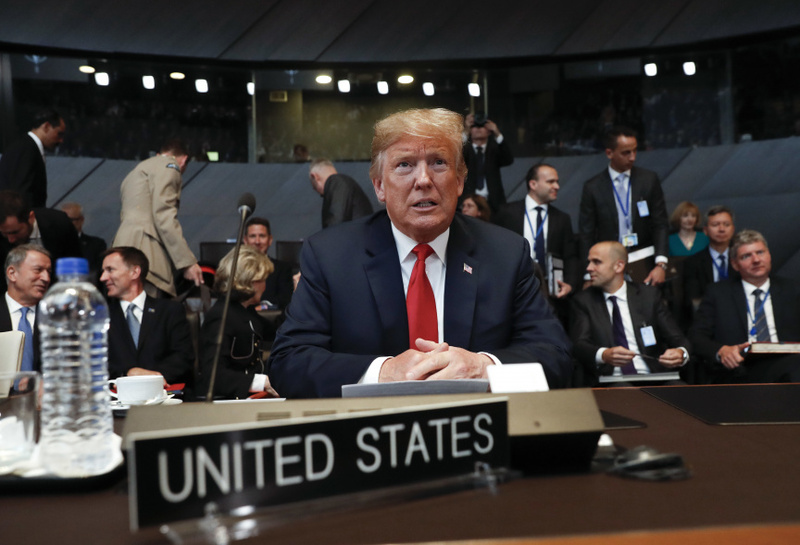 BRUSSELS (AP) — President Donald Trump tore into this week's NATO summit questioning the value of a military alliance that has defined decades of American foreign policy, torching an ally and proposing a massive increase in European defense spending. Under fire for his warm embrace of Russia's Vladimir Putin, Trump on Wednesday turned a harsh spotlight on Germany's own ties to Russia, declaring that a natural gas pipeline venture with Moscow has left Angela Merkel's government "totally controlled" and "captive" to Russia. From Brussels, Trump heads to England, where May's government is in turmoil over her plans for exiting the European Union. Although administration officials point to the long-standing alliance between the United States and the United Kingdom, Trump's itinerary will largely keep him out of central London, where significant protests are expected. Instead, a series of events — a black-tie dinner with business leaders, a meeting with May and an audience with Queen Elizabeth II — will happen outside the bustling city, where Mayor Sadiq Khan has been in a verbal battle with Trump.